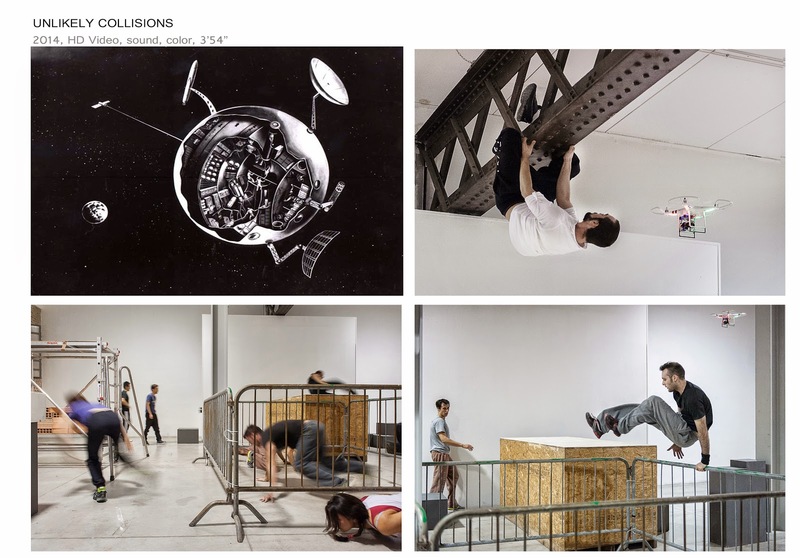 Unlikely Collision (2014) is a project that starts from a 1959 publication of the NASA where a cross-section of an applied space station, a prototype that could host a 50 members' crew, has been conceived as a laboratory for studying the effects on astronauts of the long space travel. 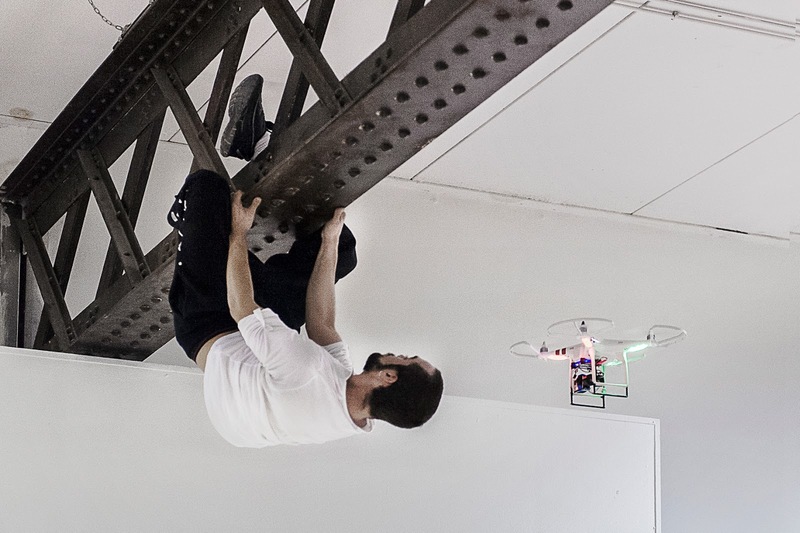 In relation to the Theory of collision by Trautz and Lewis, Driant Zeneli set drones and professional traceurs to move into the exhibition space, walking it and cross it by jumping from the windows from outside to inside. 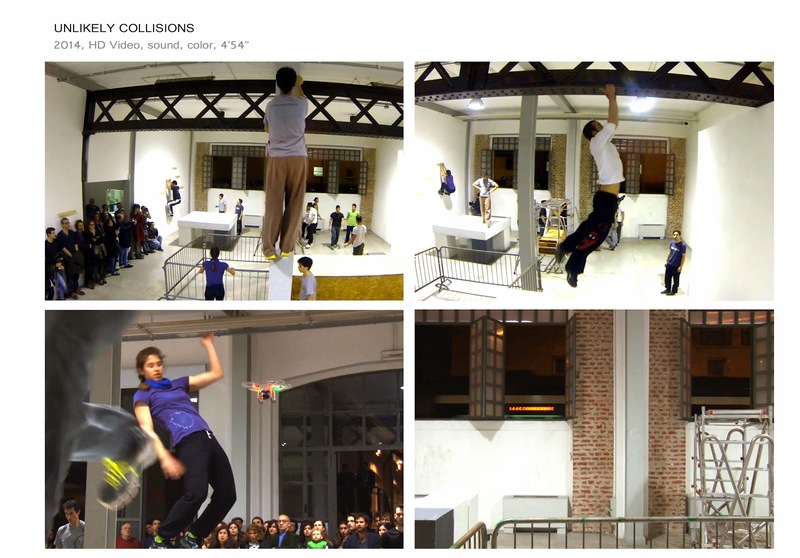 Here, the theory of collision seems to find a possible imagined analogy in collisions between bodies or in their failed impact generating new possible reactions. A double channel projection documents the perfomances.